Review: This is by no means a perfect show, but the pilot episode wasn’t as bad as other pilots I’ve sat through. The characters seem only half-fleshed out, but being that it’s their first episode, I’ll let that slide for now – hopefully each will come into her own as it picks up. My biggest problem with this show so far is that the main girls (ladies, really) aren’t that smart. Annie’s character has the cute factor and the dry sense of humor going for her, but why, oh why did she decide to rob the grocery store she works at??? (Not exactly a spoiler, as part of the robbery sequence is featured in the commercials) You could at least head to a different location to minimize your chances of getting caught…Anyway, besides the fact that I expect Annie as the youngest of the trio, to have flaws like these, (she blows her stolen money on a bunch of material things in like six seconds…) it’s just a show, and a brand-new one at that, so I won’t nitpick too much. Without the crazy antics, there’s no show in the first place right? All in all it’s a reasonably-okay show that I hope improves in time. 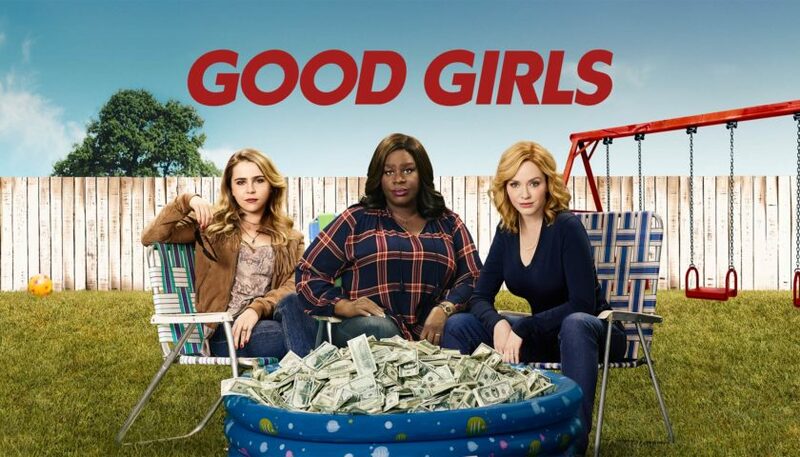 The premise isn’t super original but there were some moments that had me laughing, and I love, love, love Mae Whitman ever since “Parenthood” so I’m a little biased on that front…but I digress. Watch it, or don’t…but if you do, know that there’s room for improvement.